Development Plan of Zhengzhou Airport Economy Zone was approved by the State Council on March 7, 2013, and the Airport Economy Zone is the first national airport economy comprehensive pilot project of China so far as well as an important part of the national strategies of Henan Province. 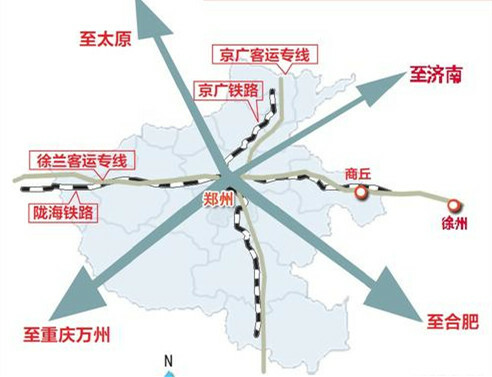 The Airport Economy Zone, 25 kilometers to the southeast of Zhengzhou and with an approved planning area of 415 square kilometers, is a comprehensive hub integrating aviation, high-speed railway, inter-city railway, subway and highway that can realize the seamless connection of "railway, road and aviation". As the first aviation economy-led national new district approved by the nation as well as the core growth pole of the Central Plains Economic Zone, the Airport Economy Zone will undertake domestic and international industry transfer positively, develop aviation logistics, aviation-oriented high-end manufacture and modern service industry vigorously, and strive to build a modern, ecological, livable, intelligent and innovative aviation city that links the world through policy innovation, system innovation and mode innovation. In October 2007, Henan Provincial Party Committee and Henan Provincial People's Government approved the establishment of Zhengzhou Airport Economy Zone in order to speed up the construction of Zhengzhou as an international aviation hub. On October 24, 2010, Zhengzhou Xinzheng Comprehensive Bonded Zone was established formally with the approval of the State Council. In April 2011, Management Committee of Zhengzhou Xinzheng Comprehensive Bonded Zone (Zhengzhou Airport Economy Zone) was set up as an agency of Henan Provincial People's Government with the approval of Henan Provincial Party Committee and the Provincial People's Government according to the spirit of the reply of the State Commission Office of Public Sectors Reform. 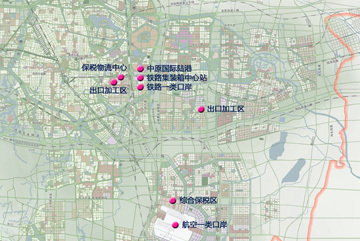 On November 17, 2012, Planning of Central Plains Economic Zone was approved by the State Council, and the State Council proposed building the Airport Economy Zone with Zhengzhou Airport as the main body, the comprehensive bonded area and the related industrial parks as the carrier, the comprehensive transportation hub as the support and the development of air freight as the breakthrough point. On March 7, 2013, Development Planning of Zhengzhou Airport Economy Zone (2013-2015) was approved by the State Council, marking the formal start of the first pioneering area for development of airport economy in the whole country. (1). An international aviation logistics center. We will construct Zhengzhou International Air Cargo Airport, further develop the aviation logistics channels connecting important hub airports and major economies of the world, improve the modern comprehensive transportation system linking land transport and aviation, improve cargo transit, assembly and distribution ability, and develop the Airport Economy Zone into a national important aviation logistics center. (2). An aviation economy led modern industrial base. We will bring into play the comprehensive leading role of air transport, strengthen the driving force of innovation, attract high-end elements to gather, develop such key industries as aviation equipment manufacture and maintenance, aviation logistics, etc. vigorously, cultivate and expand aviation-related high-end manufacture and modern service industry, promote the development of industrial cluster, and form an important node in the global production and consumption supply chain. (3). An important portal opening to the outside of inland China. We will improve the function of the Airport Economy Zone as an open portal, promote the development of the comprehensive bonded area and the bonded logistics center and the construction of land and air port, improve the international business environment, upgrade the level of participation in international industrial division, construct an open economic system and build a new opening highland full of vigor. (4). A modern aviation city. We will set up the concept of ecological civilization, adhere to intensive, intelligent, green and low carbon development, optimize the spatial layout of the Airport Economy Zone, construct a comprehensive urban service area with high grade and high degree of internationalization by rejuvenating the zone with aviation, promoting aviation through the zone and integrating industry and the city, and form an aviation city supported jointly by functional areas for aviation port, industry, living and ecology. (5). 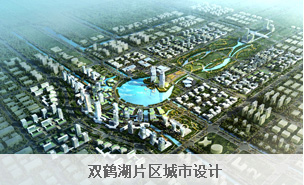 Core growth pole of China's Central Plains Economic Zone. 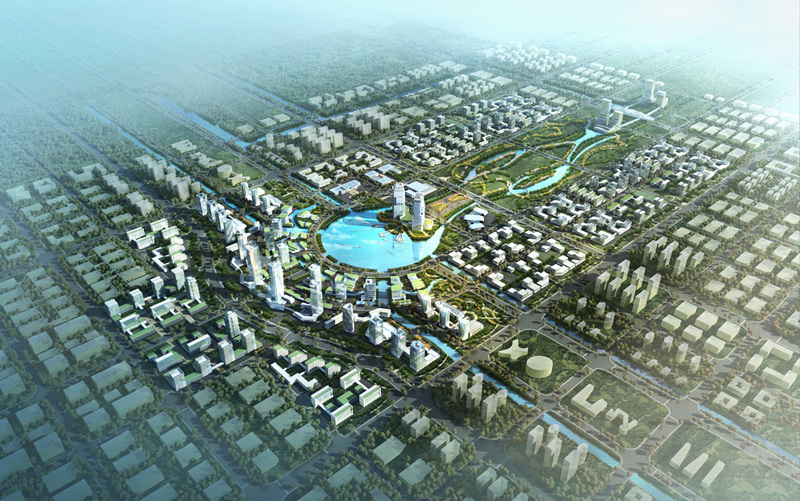 We will strengthen industrial agglomeration and comprehensive service function, enhance comprehensive strength, extend industry and service chain oriented to the surrounding areas, promote the linked development with central urban area of Zhengzhou and Zhengbian New Area and construct an area with the most development vigor and growth potential of the Central Plains Economic Zone. We will prioritize the development of high-end industry with airport orientation and relevance, cultivate airport high-end service function and knowledge innovation function, and build an airport industrial system with distinct features and competitiveness under the integration frame of the Central Plains Economic Zone. Aviation logistics: we will focus on international transit logistics, air express logistics and featured product logistics and improve such supporting service functions as distribution and transshipment, warehousing and distribution, trade exhibition, processing, information service, etc. High-end manufacturing: we will give priority to development of aircraft equipment manufacturing & maintenance, electronic information and biological medicine; build a production base of precision machinery; and produce terminal and high-end products in a large scale, thereby driving the development of automotive electronics, chilled & fresh food and cut flowers in surrounding areas. 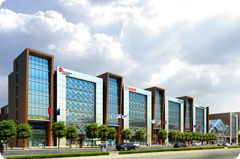 Modern service industry: we will develop professional conference and exhibition, e-commerce, aviation finance, R&D of science and technology, high-end commerce and trade, headquarter economy, etc. energetically to create an industrial innovation center, production service center and export-oriented economic development platform serving the region. With the Airport as the core and two "wings" spreading three major functional sections, we will construct an urban spatial structure with "one core leading three areas, two corridors linking three centers and two axes linking three rings" comprehensively. One core leading three areas: with the Airport as the development pole, we will form an airport core area around the Airport and form three areas, i.e. north, east and south, with axis radiating to the surrounding. Two corridors linking three centers: we will build two waterfront landscape corridors relying on the south-to-north water division project and Xiaoqing River and form an "X"-shaped ecological landscape skeleton. Meanwhile, we will form three urban centers based on urban functions: public and cultural aviation business center in the north area, productive service center in the south area and aviation conference, exhibition and trade center in the east area. Two axes linking three rings: we will create a city development belt relying on the new G107 and Yingbin Avenue and form a cross-shaped main axis for city development in the Airport Economy Zone. Meanwhile, we will form a three-ring skeleton comprising an airport function ring, an urban core ring and an expansion and coordination ring based on the backbone network system. Core area of Airport Economy Zone: mainly develops functions of aviation hub, bonded logistics, port service and aviation logistics. Comprehensive urban service area: develops functions of business, aviation finance, administrative culture, education and science research, living and industrial park. Trading area of port trade fair: mainly consists of functions of aviation exhibition, high-end trade, technical research and development, aviation logistics and innovation industry. High-end manufacturing cluster: mainly consists of functions of high-end manufacturing, aviation logistics, productive service and living. Create advantages Actively integrate into the “One Belt, One Road” strategy and implement eastward and westward development strategy to develop taking advantage of this kind momentum. Accelerate the construction of the hub system, opening platform and business environment, realizing the idea of “one breakthrough point and three levels”. Management system of "two-level and three-layer"
Against the backdrop of global economic recovery weakening and national economic growth slowing within the "12th five-year plan" period, Zhengzhou Airport Economy Zone (Zhengzhou Xinzheng Comprehensive Bonded Zone) has always remained rising in the economic indicators. By the end of 2015, the Zone's GDP reached RMB52 billion Yuan, 6 times of that in 2010 and with year-on-year increase of 21% and annual average growth of 43.3%; added value of above-scale industry achieved RMB43 billion Yuan, 11 times of that in 2010 and with year-on-year increase of 25% and annual average growth of 61.4%; investment in fixed assets realized RMB52 billion Yuan, 14.2 times of that in 2010 and with year-on-year increase of 30% and annual average growth of 69.9%; general public budget revenue amounted RMB2.95 billion Yuan, 18.4 times of that in 2010 and with year-on-year increase of 39.4% and annual average growth of 79.1%; total export-import volume was up to USD49 billion, 3,487 times of that in 2010 and with year-on-year increase of 30.1% and annual average growth of 411.1%, accounting for more than 67.4% of the provincial volumes. All indicators were much higher than the national, provincial and municipal average level. In 2016, the Zone's GDP totaled RMB62.25 billion, up 13% from a year earlier to the largest in all development zones of the city, its annual average growth being 38.8% compared with 2010, contributing 11.7% to the increase of the city and accounting for 7.8% of that of the city; the added value of above-scale industry amounted to RMB36.04 billion, up 13.6% from a year earlier to the largest in all development zones of the city, its annual average growth being 52.4%, contributing 27.3% to the increase of the city and accounting for 11.2% of that of the city; the investment in fixed assets was up to RMB62.62 billion and grew faster than other development zones of the city with the rate of 20% from a year earlier, its annual average growth being 60.4%; the public budget revenue reached RMB3.3 billion, 18.3% higher than a year before; the public budget expenditure reached RMB6.447 billion, in which the expenditure for people's livelihood was RMB4.513 billion, accounting for 70% of the public budget expenditure. The GDP, added value of above-scale industry and investment in fixed assets of the Zone grew by 13%, 13.6% and 20% respectively to reach the 2nd, 1st and 3rd in the city, 4.9 percentage points, 5.6 percentage points and 6.3 percentage points higher than the provincial growth rate and 4.6 percentage points, 7.6 percentage points and 8.7 percentage points higher than the municipal growth rate. By 2016, 34 all-cargo air routes (including 29 international ones) and 187 passenger air routes (including 26 international ones and 2 intercontinental ones) had been opened in Zhengzhou Xinzheng International Airport; the passenger throughput was 20.76 million person-time, rising to the 15th from the 21st in 2010, and the cargo throughput was 457,000 tons, rising to the 7th from the 22nd in 2010. 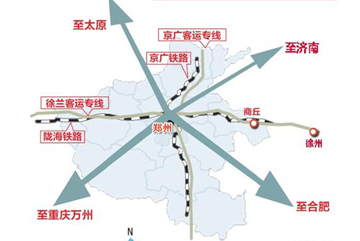 Zhengzhou Xinzheng Comprehensive Bonded Zone, covering an area of 5.073km2, was approved by the State Council on Oct. 24, 2010 as the 1st comprehensive bonded zone in the central China and the 13th one in the whole China, and started operation on Nov. 4, 2011. Now it has become a specific economic and functional area of highest opening level, most preferential policies and complete functions. The Zone boasts "four functions": bonded processing, bonded logistics, port-based operations and integrated services; and carries out "nine businesses":warehouse logistics, foreign trade (international entrepot trade), international purchase, allocation and distribution, international transfer, testing and after-sales maintenance, product display, research & development, processing, and manufacturing, with bonded processing, modern logistics, service trade, bonded R&D, detection and maintenance, bonded exhibition and characteristic finance focused. The total import and export values ranked the 2nd among the comprehensive bonded zones in China for three consecutive years, namely 2012, 2013 and 2014. Therefore, the General Administration of Customs commends Zhengzhou Xinzheng Comprehensive Bonded Zone as a model of "provincial development driven by a crucial zone" and a pacesetter of comprehensive bonded zones in inland areas. "2015-2017 Action Plan of Zhengzhou Airport Economy Zone" has been formulated to quicken the implementation of general requirements provided in Development Plan (2013-2025) of Zhengzhou Airport Economy Zone, support the building of "the Belt and Road Initiative", create an open economic highland in inland areas, realize the strategic concept of "one breakthrough point and three layers" (that is, Zhengzhou urban area, Central Plains Urban Agglomeration, and Henan Province and surrounding areas are developed under the drive of Zhengzhou Airport Economy Zone), and achieve the stated objective under the joint efforts of provinces and cities. The three-year action plan targets the "1,000 billion, 100 billion and 10 billion" project, which to be specific is to aim at RMB1,000 billion of main operating income by the end of 2025 (500 billion in 2017 and 1,000 billion in 2025), to cultivate 2-3 new enterprises with main operating income exceeding RMB100 billion and 3-5 enterprises with main operating income more than RMB10 billion, and to reach RMB10 billion in local financial revenue. Based on the Zone, "four major groups" including airport, convention & exhibition logistics, Shuanghe lake and ancient city have been properly arranged. Industrial projects and urban construction are developed hand in hand, to reinforce the comprehensive guarantee and service capabilities. © 2015 Zhengzhou Airport Economy Zone (Zhengzhou Xinzheng Comprehensive Bonded Zone) all rights reserved.